Officers are warning the public to be vigilant following reports of scams this week being targeted at North East residents. Residents are reportedly being phoned by people alleging to be from phone/internet providers such as BT and TalkTalk saying there is an issue with the person’s internet router or that their computer has been affected by a virus. The caller then asks to take control of the person’s computer to fix the issue and then further into the scam gets the person to log into their online banking account and at that point funds are transferred. 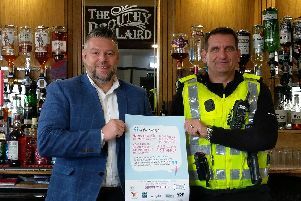 Sergeant Andy Sawers of the Ellon Community Policing Team said: “Although we have done a lot to highlight the danger of scams, sadly, there are people who get taken in by the ever plausible excuses fraudsters use to gain a person’s trust and access to people’s bank accounts. “Becoming the victim of this type of crime can happen to anyone, however sadly it is often the older members of our communities who are targeted. 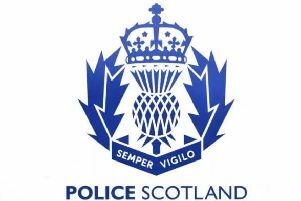 “I would therefore like everyone to take our advice and also talk to older family members or friends about these scams and provide the following advice to them. “Never give any personal banking information out or allow access to your internet banking by anyone who calls you. Fraudsters are experienced in giving entirely plausible reasons for needing your information but stand firm and do not give it out to anyone who contacts you. “If you are unsure and think there is a possibility of a call being genuine, end the conversation, wait half an hour and then call the company they are alleging to be from but use a phone number from their website or from genuine sales literature and enquire if they were trying to contact you. “Never feel obliged to give out information on the spot. Fraudsters use the fact that they call unexpectedly, when you are least expecting it, to their advantage. "If anyone has or thinks they have been the victim of this type of fraud then please call 101 to report it. It can be frustrating, deeply upsetting and embarrassing to be taken in by fraudsters but I would urge anyone who has been defrauded to report it." Scottish Conservative MSP Peter Chapman added: "Some of these calls seem entirely plausible but it's important to remember no one should ask you to access financial information over the phone. "If anything seems wrong, it most probably is. Hang up the phone and look for an official number for your broadband provider to ring back. "This is an evil practice but sadly that doesn't seem to deter criminals from trying to part hard-working or retired people from their hard-earned money." “If anyone has or thinks they have been the victim of this type of fraud then please call 101 to report it."